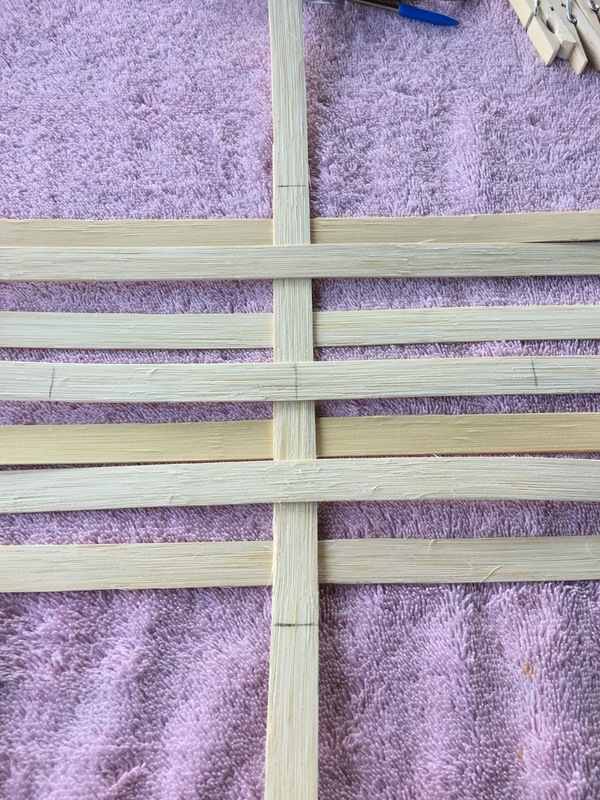 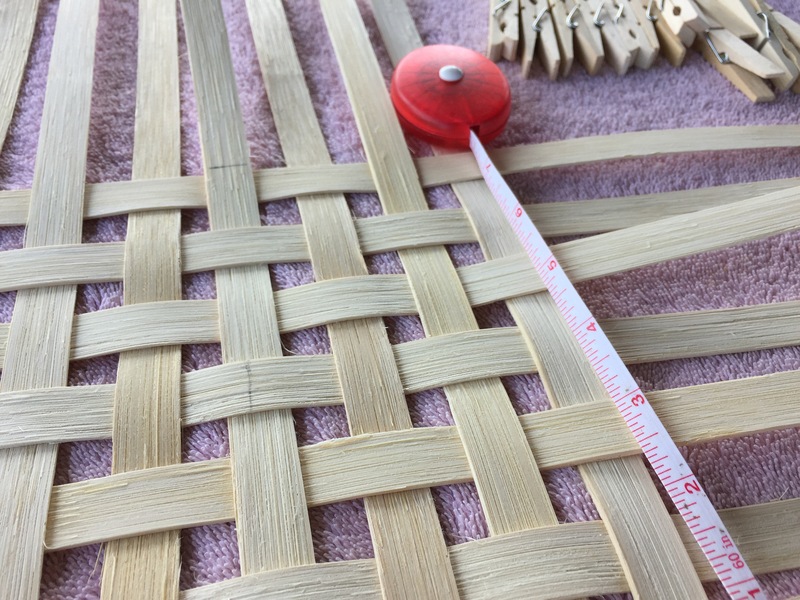 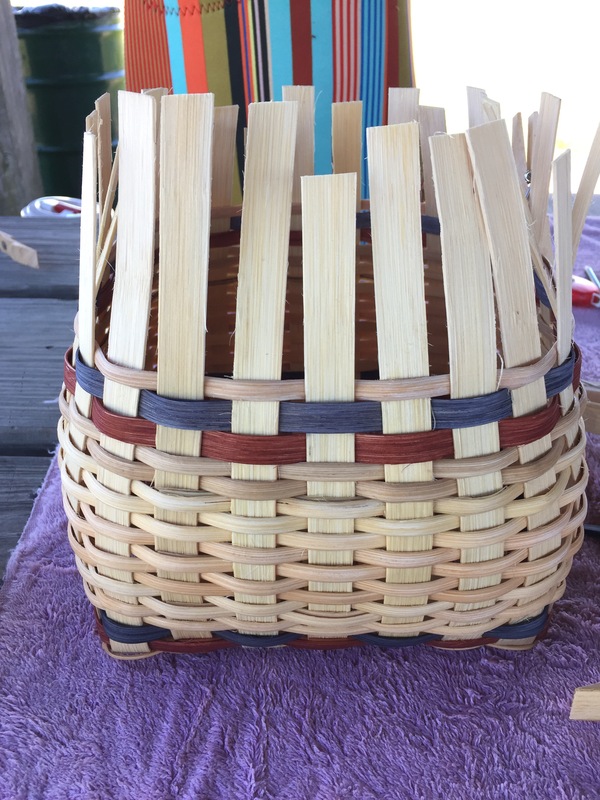 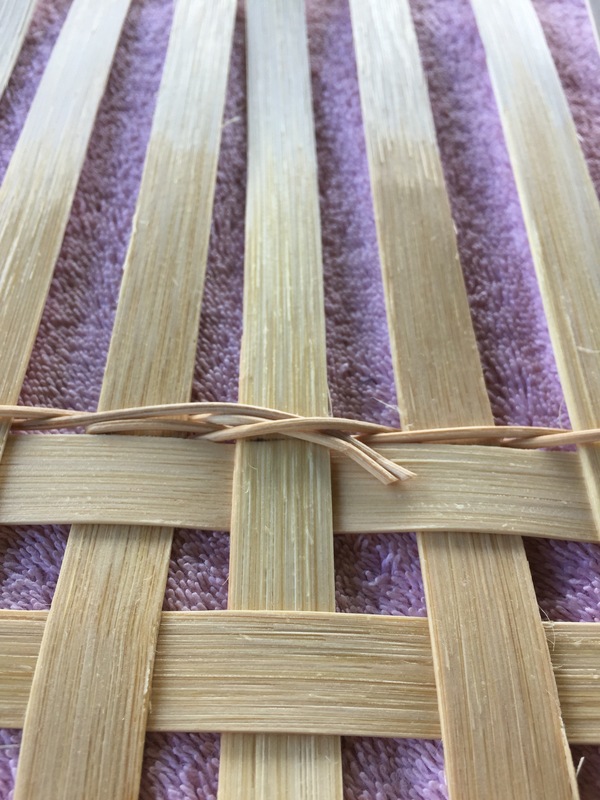 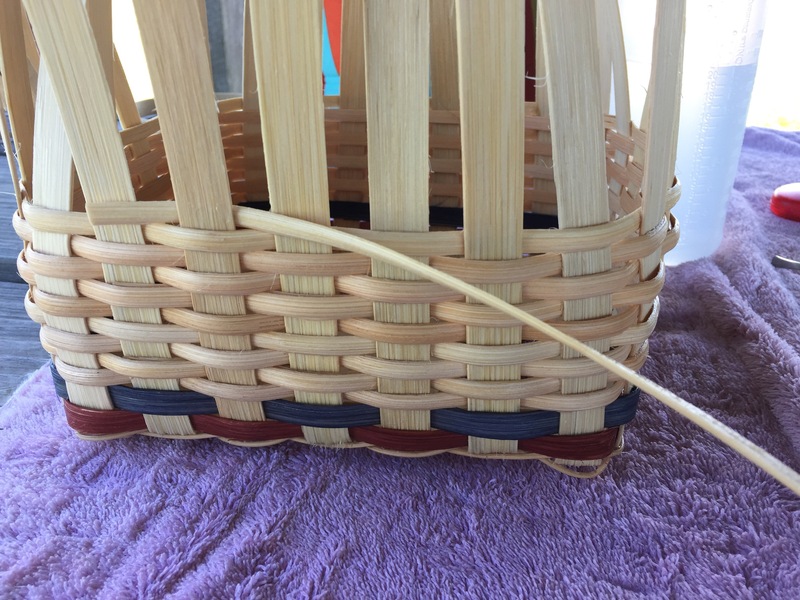 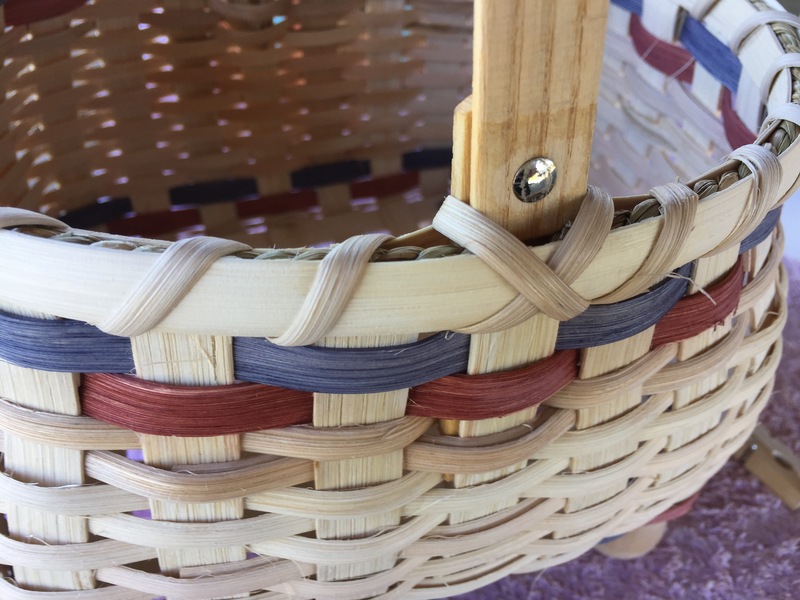 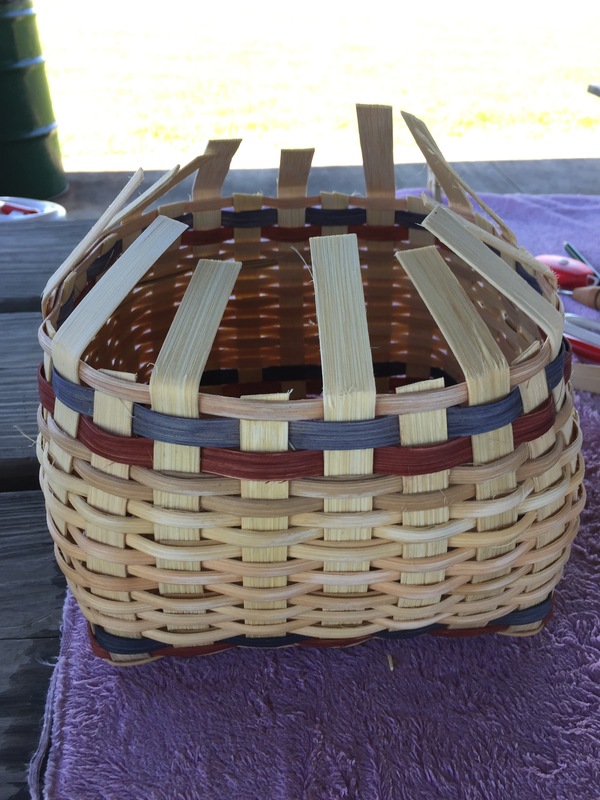 I had a wonderful time attending a local basketmaking workshop held at a rustic county park in my area. 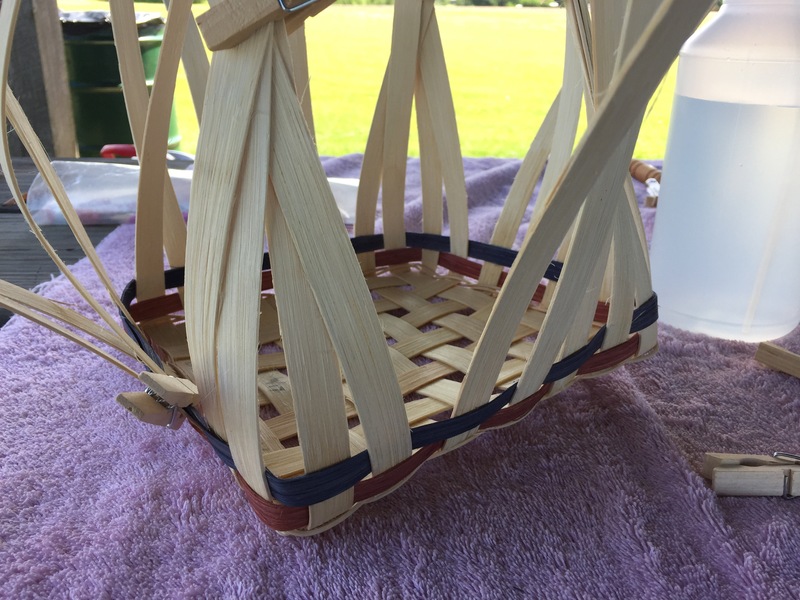 The weather was beautiful and the scenery was gorgeous. 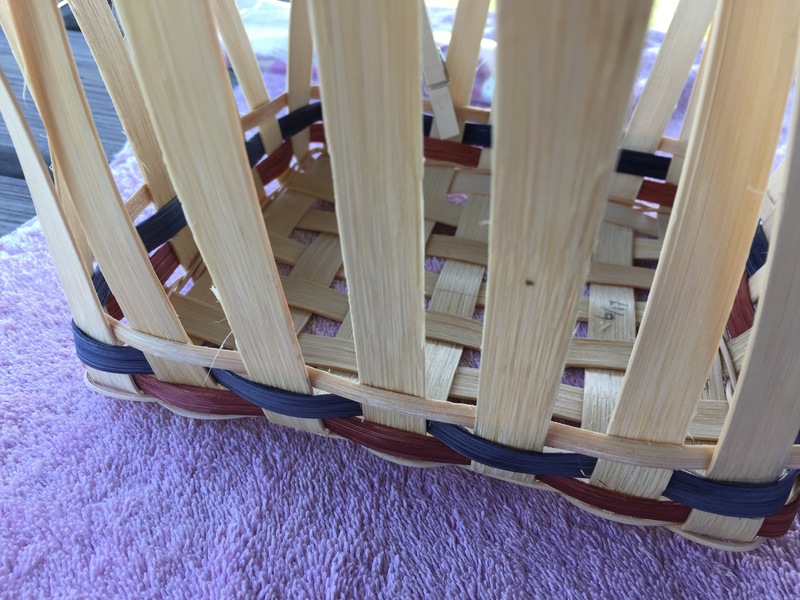 We sat under a shelter with several picnic tables that were lined up for all of the class participants. 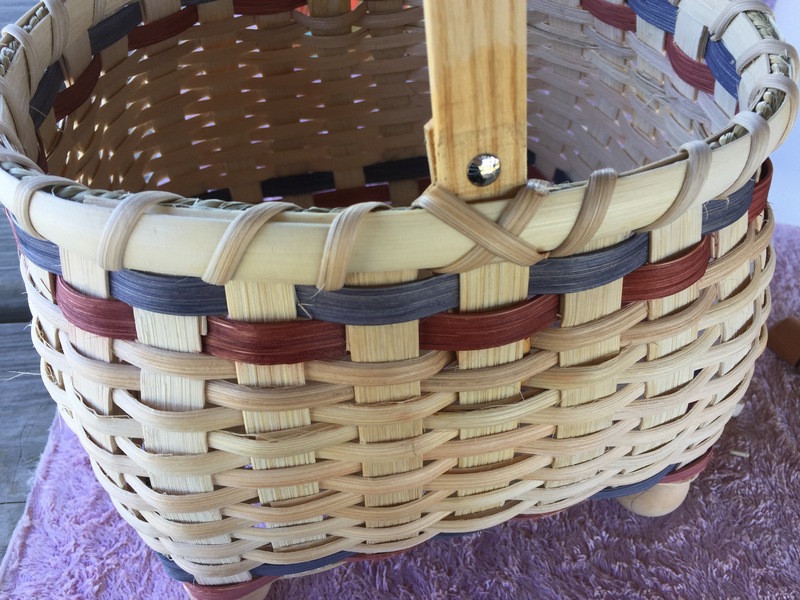 Just prior to the session we were mailed a list of supplies needed for the construction of the basket. 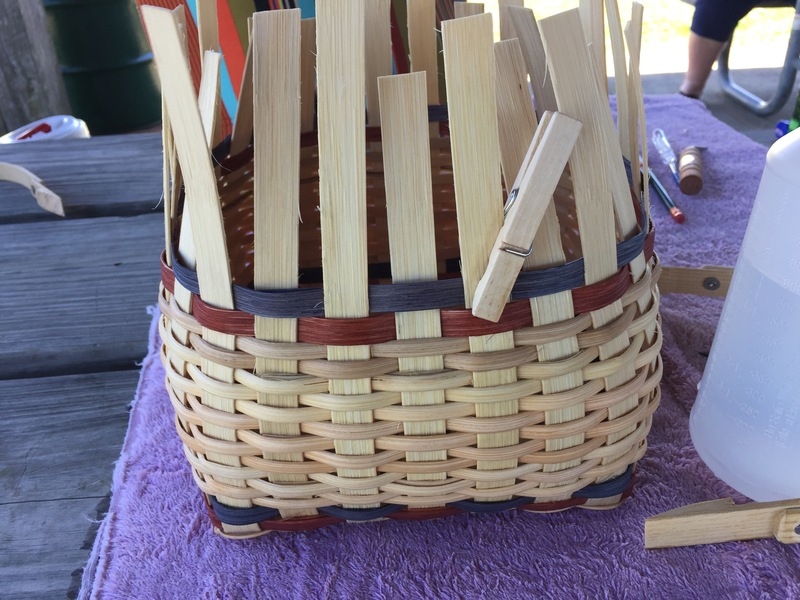 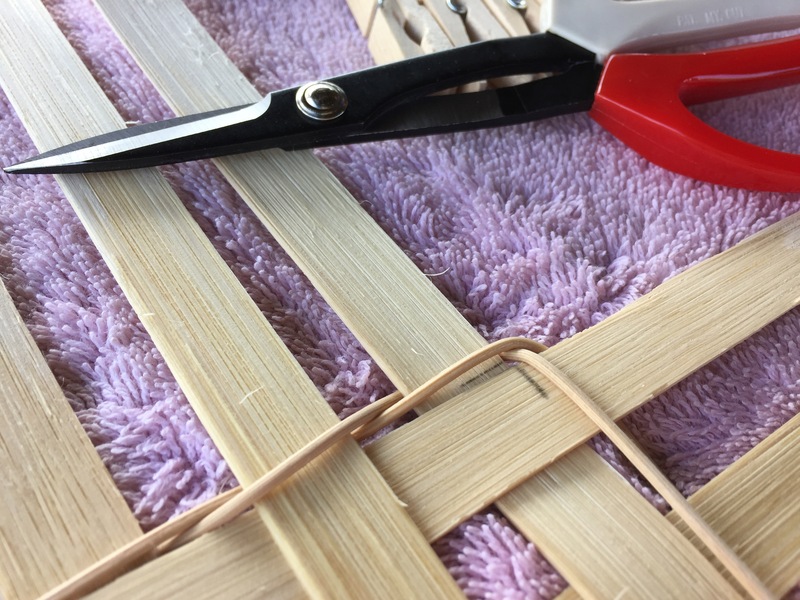 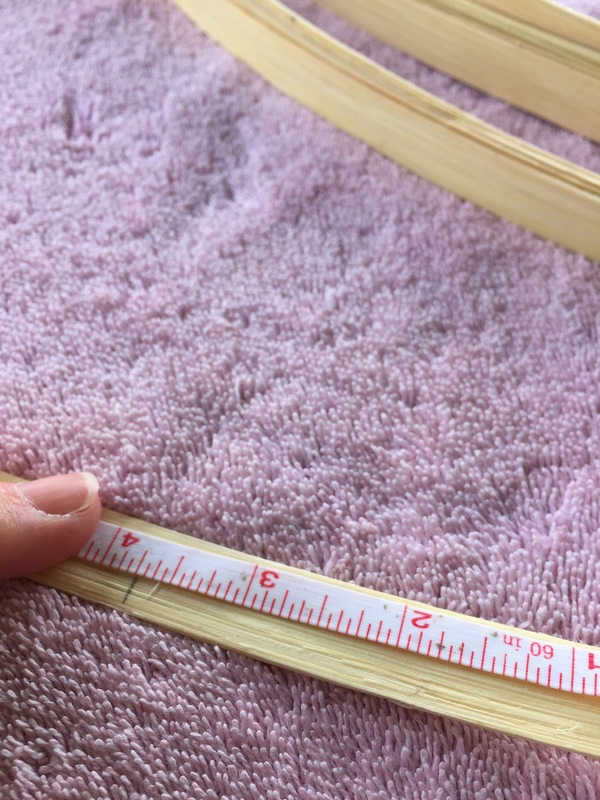 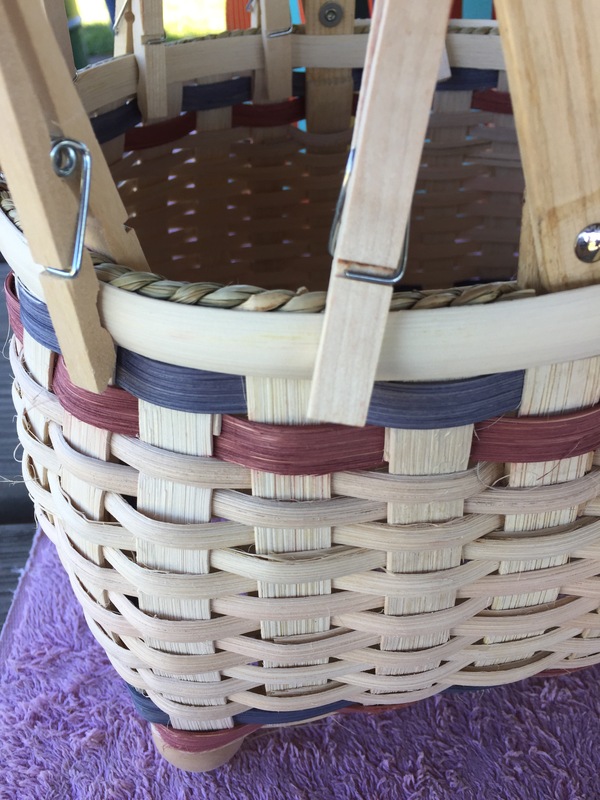 We each brought along an old towel, some clips to hold the basket in place, scissors, a large bucket and a spray bottle to keep the wooden strips wet while working with them. 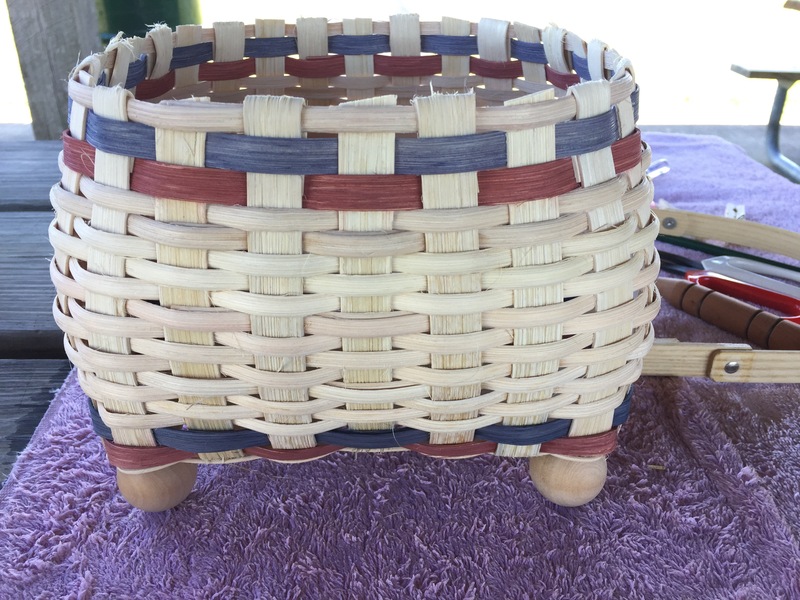 We carefully listened to the instructor as she effortlessly managed teaching and assisting the 20 students before her. 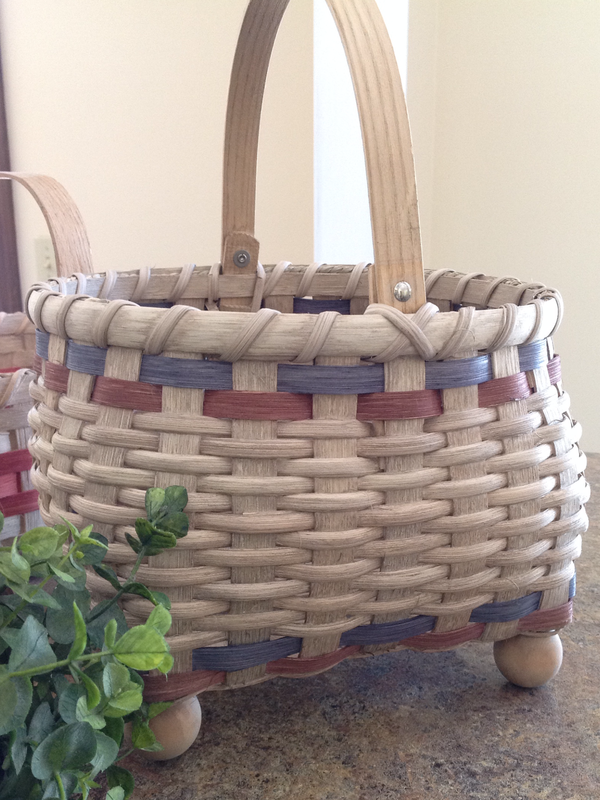 The item that we would be constructing is called a Footed Market Basket. 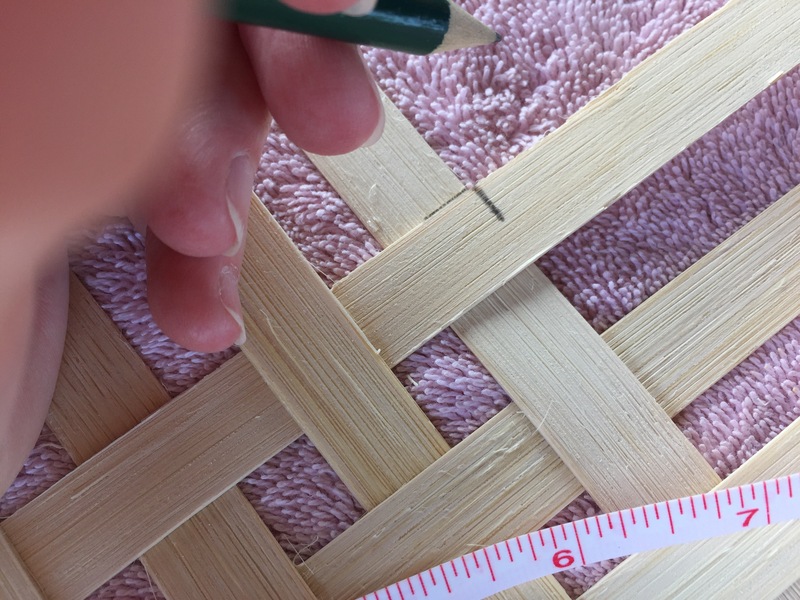 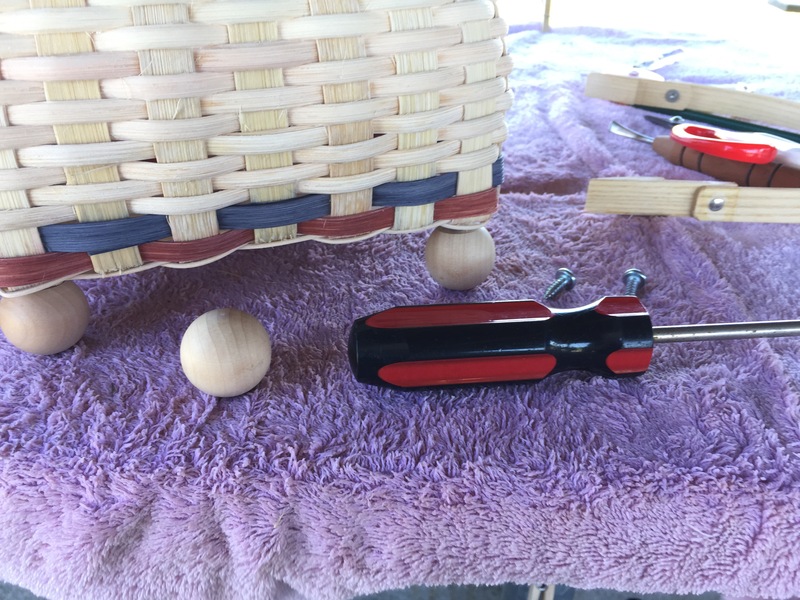 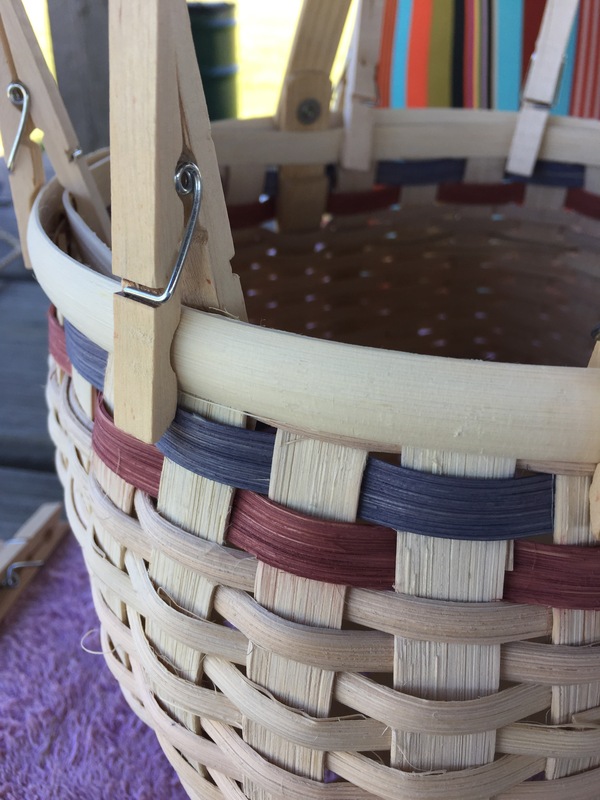 I tried to take pictures as I worked through the steps while making this adorable basket. 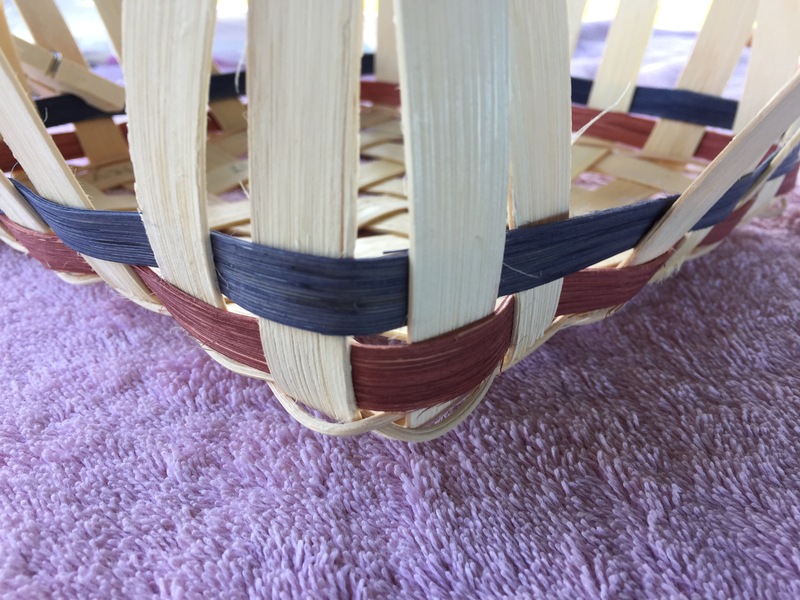 …Can’t wait to sign up for another session!